Collection of timeless Doo-Wop favorites in a unique a cappella style. 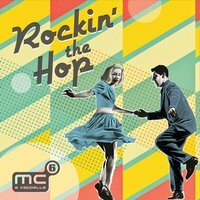 MC6 A Cappella will transport you back in time to the 1950’s and 1960’s when muscle cars were king and Doo-Wop music was on the juke box at malt shops across the nation. With their smooth sound, rhythmic bass, high falsetto tenor and unique vocal percussion, MC6 will have you tapping your toes and singing along to all of your favorite songs. The group's unique sound and broad repertoire spanning from doo-wop classics to contemporary hits as well as gospel and Christmas favorites, bring smiles to the faces of fans worldwide.